I decided tonight to put together a wedding treasury of items that show a trend for this years wedding season. I found a delightful group of items. They range from shoes to card holders. The first item I saw when I entered the keywords was this lovely shrug. I think it is just beautiful. I can see that being worn right now when the weather is chilly and snowy. It just made me feel happy inside when I saw it. 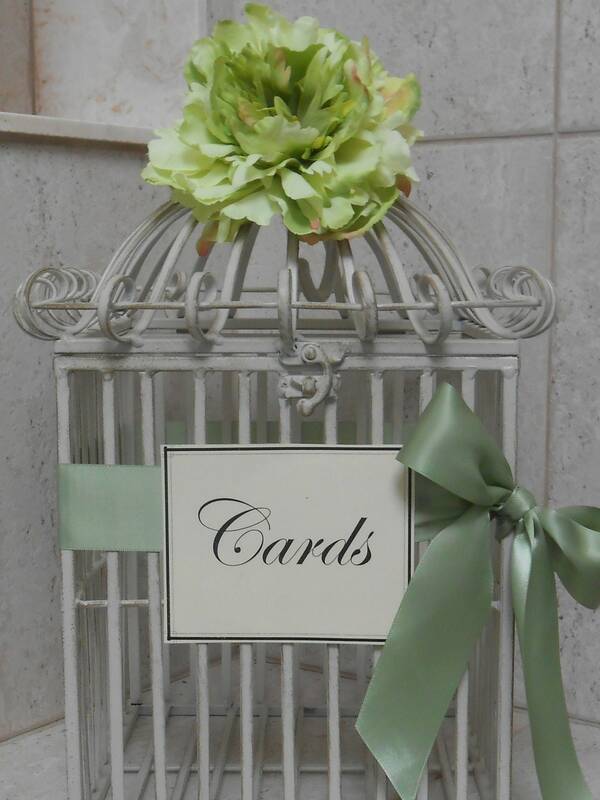 Birdcages seem to be a hit amongst brides for the card holders. I thought this one looked very pleasant. It almost has a vintage feel to it. The greens are very light and fun. For some reason, I just love these type of banners. This one appears to be made of paper. I also love the ones which are created from burlap. Either way, they are fun photo props or a great way to make things for your guests. They can be great for directions, letting your guests know where to find the reception, gift table, etc. I just love putting together treasuries. I hope you enjoy this one. To view the entire treasury for the rest of the pictures, please visit here: 2013 Wedding Treasury .